Johann Georg Pisendel was the leading German violinist of his day. Antonio Vivaldi, Georg Philipp Telemann and Tomaso Albinoni all dedicated violin concerti to him. Whilst his compositional legacy is small, his personal friendship with an impressive number of his contemporaries the most notable being J.S. Bach, Vivaldi and Telemann in conjunction with his influential position as concertmaster of the Dresden Hofkapelle resulted in the creation of a large body of works written for this virtuosic ensemble. It was Pisendel's influence which was largely responsible, in instrumental music, for the great diversity of music making at Dresden. "For six years Pisendel was in the service of the Court at Anspach as soprano, and later, when his voice had changed, he continued there for five years as violinist. He then made his departure, and in March 1709 betook himself to Leipzig, to continue his studies at the Academy there….On the way to Leipzig, his path led through Weimar, where he made the acquaintance of Johann Sebastian Bach, who was at that time in service there." It was during this meeting that Pisendel received a copy of Telemann's G Major concerto for two violins – Kross 2V.G(1) Shortly after his arrival in Leipzig met Telemann, who was on his way from Eisenach to Sorau. Pisendel's and Telemann's friendship lasted until Pisendel's death on which Telemann published an ode in honour of his friend. Telemann appears to have sent works directly to Pisendel for a number of years. Four of Pisendel's surviving letters to Telemann from what must have been an extensive correspondence lasting over four decades are published, complete with commentary in Hans Grosse and Hans Rudolf Jung, Georg Philipp Telemann: Briefwechsel:Saemtliche erreichbare Briefe von und an Telemann. (Leipzig:VEB Deutscher Verlag fuer Musik, 1972) His concerto for two violins in E minor was performed in Dresden as early as 1710-1711, however it was surely Pisendel's advocacy of his music that ensured it's performance particularly after his appointment as Concertmaster. The Sächsische Landesbibliothek is one of the two major repositories of Telemann's music. Pisendel is known to have performed a violin concerto by Albinoni with the collegium musicum at this time. The departure of Melchoir Hoffman in 1710 created the opportunity that Pisendel needed for regular performance with the collegium musicum and the opera orchestra. In 1711 Pisendel travelled to Darmstadt where he took part in a performance of Graupner's opera Telemach. His abilities were obviously recognised as he was offered a permanent position at court which he declined. In 1712 Pisendel joined the Dresden Hofkapelle as a violinist. He remained in service at Dresden until his death in 1755. His duties meant that he was amongst the musicians who accompanied the Crown Prince on the Grand Tour, visiting France (1714), Berlin (1715) and Venice (1716/1717). Music making in Venice had a profound affect on Pisendel and the length of his stay enabled him to study with Antonio Vivaldi, with whom he also became friends. Whilst in Italy he also studied with Montanari in Rome and travelled to Naples and other Italian cities. He re-visited Venice in 1717 and renewed his friendship and study with Vivaldi. Their association is recorded in two uncorroborated anecdotes by Hiller. The first recounts how Vivaldi while walking with Pisendel in St.Marks Square, suddenly broke off the conversation and urged the visitor to return home with him immediately. Privacy regained, Vivaldi explained that he had observed four constables shadowing Pisendel and asked him whether he had done or said anything forbidden by the authorities. Since Pisendel could think of nothing, Vivaldi sought the advice of one of the inquisitors, from whom he learned that they were looking not for Pisendel but for a man resembling him. The second anecdote makes more sense if we know that the Crown Prince was already familiar with Vivaldi's work. Vivaldi had dedicated a concerto entitled La Sassiona to him. The Crown Prince asked Pisendel to play a concerto identifiable as RV 571 as an operatic entr'acte. During an extended solo passage in the upper register his accompanists tried to discomfit him by rushing ahead, but he kept his composure and forced them to slow down by marking the beat vigorously with his foot, much to the Crown Princes amusement. While in Venice Pisendel collected a large quantity of manuscripts containing the latest works available and particularly those of Vivaldi. Some of these were presented to him by the composer, the autograph manuscripts of three sonatas and six concerti bear the inscription "fatto per il Sign. Pisendel." RV340 dedicated to Pisendel bears the inscription "per li coglioni" – for the blockheads that surely refers to some bass figures Vivaldi had included for the copyists benefit. The majority of the music however was copied by Pisendel himself, including 22 concerti, 7 violin sonatas and complete sets of parts for 15 further concerti. He also made copies of concerti by Benedetto Marcello and Albinoni who also dedicated a concerto to him. These works were all acquired on Pisendels death in 1755 by the Electress Maria Josepha and reside in Pisendel's private collection in the Sachsische Landesbibliothek except one violin sonata RV19 that is curiously held in the Paris Conservatoire. 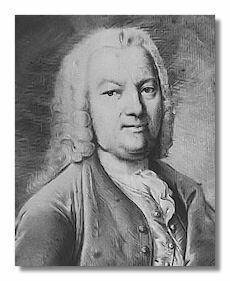 Pisendel is believed to have shown Johann Sebastian Bach a sonata of his composition in A minor for unaccompanied violin following his Venetian trip which has been claimed (plausibly) as the model for Bach's sonatas and partitas for solo violin. After 1718 Pisendel's trips abroad became less frequent. During this period he became a pupil of Johann David Heinichen in composition. His compositional legacy, no doubt due to his performance duties is small but of a high quality. His remaining compositions show his experience in Italy to be influential and unsuprisingly are dominated by works for the violin, notably seven violin concerti and sonata's for solo violin. Telemann was one of the many people to visit Dresden in 1719 for the celebrations surrounding the marriage of the Crown Prince and Maria Josepha. During this visit he presented to the man to whom it was dedicated, Johann Georg Pisendel, a violin concerto in B Flat Major. Judging by the note at the end of the score, "The last Allegro is rather a scribble – better copy follows. Author", Telemann appears to have written out the finale in great haste. On Woulmyers death in 1728 Pisenedel became acting concert master, a position which was confirmed in 1730. Pisendel, the leading German violinist of his day, cultivated musical expression through a sensitive manner of playing. Quantz commented on his interpretation of Adagio movements and Hasse on his assured grasp of tempo. His influence ensured the performance of music by Vivaldi, Albinoni, Giuseppe Tartini, Telemann, Johann Friedrich Fasch, Graupner, Stölzel and the Bendas and Grauns. Pisendel's influence through teaching, his most famous pupils being Franz Benda and Johann Gottleib Graun must have also been significant particularly with respect to the court of Frederick the Great. The following anecdotal extract provides us with the picture of virtuosi making music for their own pleasure and mentions the viola pomposa, whose invention is ascribed to Johann Sebastian Bach. "In Carneval of the year 1738, Benda, upon the invitation of the concertmaster (Johann Georg Pisendel), who had friendly correspondence with him, travelled to Dresden to hear Hasses's opera La Clemenza di Tito. There he became acquainted with the Imperial Russian Ambassador Count von Keyserlingk, who, as a great lover and connoisseur of music, was very gracious to him. In this noble household Benda had the opportunity to hear the famous lutenist Sylvius Leopold Weiss in all his power. One day Weiss invited Benda and Pisendel to lunch and secretly had Benda's violin case brought along. In the afternoon he was asked to play a solo on the violin, which Pisendel accompanied with the viola pomposa. After the first solo another was demanded, and so it went until midnight. Benda had twenty-four solos in his case, and he had to play all twenty-four. In the meantime, Weiss played eight to ten sonatas on the lute." Pisendel was also a close friend to Jan Dismas Zelenka, Telemann described Pisendel as Zelenka's "bosom friend". After Zelenka's death Pisendel, with Telemann's help attempted to publish some settings of Zelenka's Responsoria. Pisendel went about this in a very discreet manner as a letter of 16th April 1749 requesting that the print be kept incomplete so that no-one could establish the provenance of the copies testifies. In contrast to his treatment when he was alive Zelenka's works were closely guarded and regarded as the courts possessions. Telemann wrote on the 17th April 1756 about the Responoria, which was never published that "the complete manuscript will be at the Dresden court, kept under lock and key as something rare…", nothing escaped the Dresden lions!